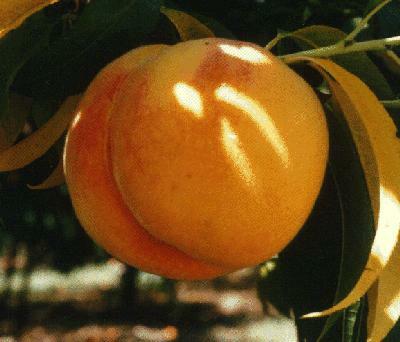 A large yellow peach with a red blush. Flavor is good, but not up the level of its offspring, Earli-Loring and Topaz. Firmer than Earli-Loring and Topaz, Loring is freestone and a good canning variety. Ripens mid-August in the Willamette Valley.